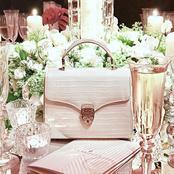 Celebrated Chinese International actress Yang Mi has collaborated with British luxury lifestyle brand Aspinal of London, to design a unique Limited Edition Mini Trunk Clutch. 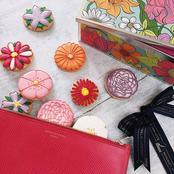 The 'Yang Mi Bag' for the One Foundation Charity is the perfect compact clutch for every occasion. 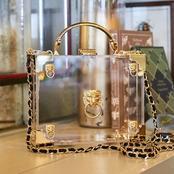 This is a special charitable collaboration between Yang Mi and Aspinal of London. Since the project began, Yang Mi has been working closely with Mariya Dykalo, Aspinal's Creative Director on this project, with the aim of raising both awareness and substantial funds for the One Foundation 'pure water' project. 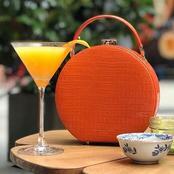 The 'Yang Mi Bag' is a first for Aspinal of London as it is the first bag launched by a British luxury brand in China which is the result of a collaboration and named after a Chinese celebrity. Yang Mi is well known for her charitable activities and contribution in China, especially related to the improvement of education and health conditions for children in rural areas. Aspinal of London also has a strong reputation for charitable collaborations with international celebrities. Aspinal's understated English elegance and style complements Yang Mi's own sophisticated taste as well as her positive reputation both in and outside of China, making her the perfect partner for this charity project. 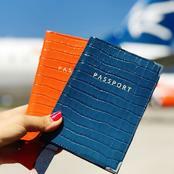 The quintessential English luxury lifestyle brand, Aspinal of London, is renowned for its quality and craftsmanship, creating beautiful classic and chic contemporary styles for women and men that are made to be loved for a lifetime. 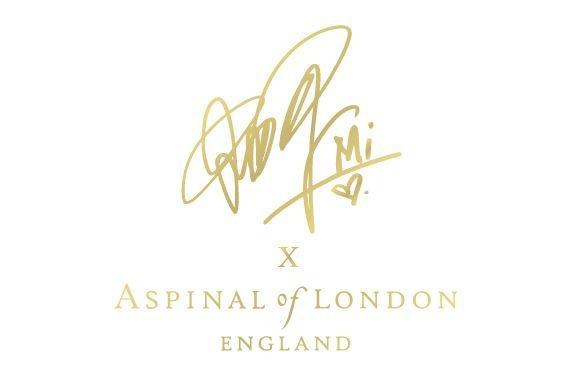 Aspinal of London's loyal followers include Princess Catherine HRH Duchess of Cambridge, her sister Pippa Middleton, and many other famous celebrities, actors and sports men and women in Great Britain. The Mini Trunk Clutch is a super-cute child of the traditional vintage trunk suitcase. The box frame of this covetable Mini Trunk Clutch is handmade from the finest Italian leathers, accented by Yang Mi's personally designed patches including a China-to-London skyline, Love Heart Yang Mi patch and Yang Mi's own fox and bee emblem. The sticker patches have a personal meaning to Yang Mi: the Fox is the nickname of Yang Mi, and the Bee is name of Yang Mi's fan group. Each limited edition Trunk will be numbered 1-3000 and will carry Yang Mi's embossed signature. The Yang Mi Bag has also been customised with a special pocket specifically designed to hold an essential mobile battery pack and cables, both elegantly and discreetly, meaning every girl can now charge her phone conveniently on the go! ith a Limited Edition production of just 3,000 bags in total spanning across 3 colours and 4 options, it will be available exclusively from www.aspinaloflondon.cn and www.xiu.com. 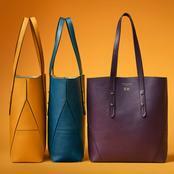 Each bag will retail at the price of 4,750 RMB. The amount of (900RMB) from each bag sold will go to the One Foundation, a charity founded by Jet Li, which strives to provide a professional and transparent public service platform under the vision of "It Starts with One". One Foundation's strategy is to promote the development of China's public welfare charity.